How can startups add their product and get included in relevant matches for business customers? We're excited to have you join Bricleir as a partner? Adding a product is super easy. 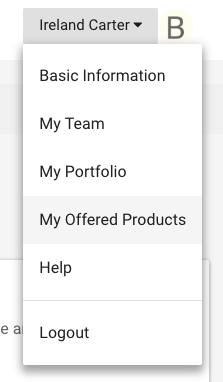 Just navigate to the "My Offered Products" option in your user dropdown menu or click HERE. Then you'll be prompted to fill out some information about your product to make sure you're getting in front of the right customers and to help us verify your product. If you have any questions as you're filling out the information, don't hesitate to reach out!